In rain gutters, we can see waste and weeds, too, and the city beyond. Drawn to the plants that peep out from rain gutters, this artist has looked closer and found a landscape outside of the control of Man. 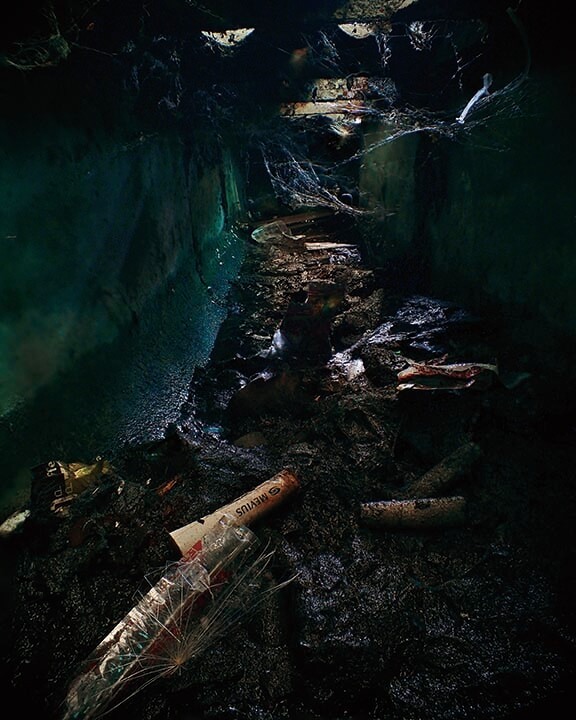 By photographing and examining anew photos taken there, the artist is attempting to reveal the ecology of gutters. The scientific spirit of this automobile engine designer is engrossed in the scenes of leaf mold formed by rain water mixing with weeds, fallen leaves, moss, dog and cat excrement, and the like. Because of the urban scenes archived in rain gutters that actually do exist at roadsides, we now finally have works that embody a micro perspective.